Golf Club Labels - Stinky Lockers Ltd.
We've all experienced the time when we've left a golf club behind, and with the small fortune spent on golfing gear, losing a club is painful. Increase the rate of return with golf club name tags. Our personalized sticker labels come in sets of 14, so all your clubs can be securely labeled. Our decals also make perfect gifts for groomsmen or the man who has everything. Share these custom labels with the golfer in your family and give thoughtful and useful present. Your club may be returned before you even notice it's missing! 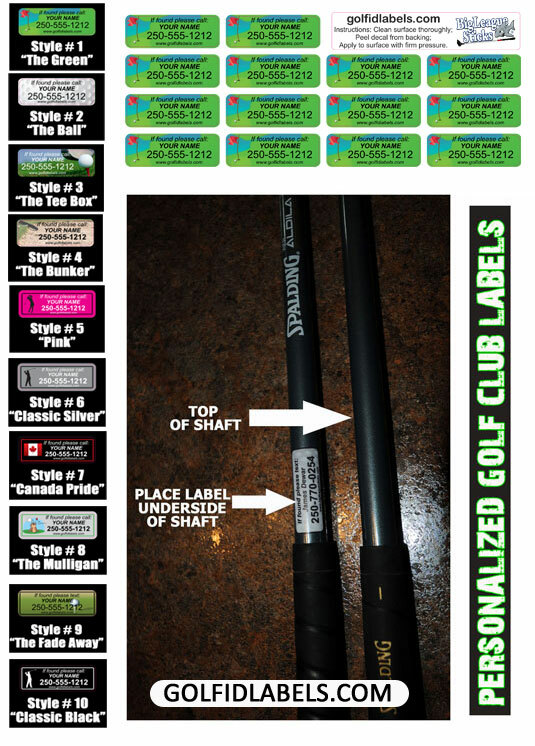 Get your golf clubs back with customized name labels from StickyLockers.com today!